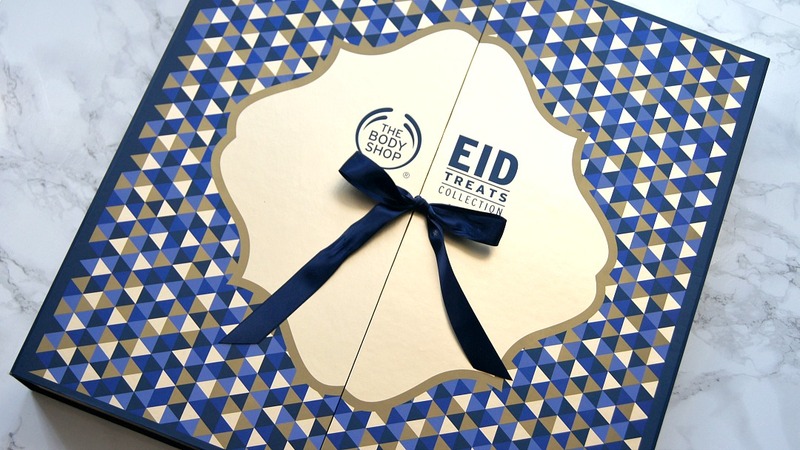 SAFIYAH TASNEEM : Ramadan 2017 - The Body Shop Eid Treats Beauty Calendar! close up of day 1 box.. with a mystery design on the back which I'm assuming has the body shop logo on! I've seen/heard that this years calendar has mostly full sized products in them; Day 1 has a 60ml Japanese Cherry Blossom Shower Gel which isn't full size, but I imagine the calendar would be even harder to carry if it held full size shower gels, so the full size products must be other less heavy items. It smells lovely anyway and I'm actually excited to try new products from The Body Shop especially after I've not really been up to date with their products in the last couple years and of course absolutely LOVE their Himalayan mask (full review here). From what I've seen on The Body Shop website (I couldn't help myself!) it looks like there's a great mix of products, mostly bath and body which is an all rounder/suits-all kind of gift anyway, some skincare and even a few makeup products too! I'm not going to spoil the rest for anyone who's also got this calendar but if you'd like to see what's included in the calendar, The Body Shop website lists it HERE. The main selling point for me is definitely the packaging and design of this calendar. There are strong nods at Islamic architecture; as a huge admirer of architecture in general, Islamic architecture definitely hits home, particularly when you've grown up with a fondness for Masjids/Mosques where I feel a sense of tranquility. I can't really describe what I felt when I opened this but it was a culmination of feelings; awe at its beauty, nostalgia, fondness and a sense of home too; it's really odd how something like this could stir up all these feelings, so well done The Body Shop! I'm definitely going to be keeping this packaging once I've opened all the boxes as I'm teaching my son Arabic so this is a great learning tool for me to help him recognise numbers beyond 10 due to the Arabic numerals on the boxes. I genuinely love the ideas I've seen on other Muslim Mum blogs of advent type preps for Ramadan (check this super easy one here!) and can't wait to create my own advent calendar maybe next year to help him build excitement for this blessed month. Personally I absolutely love the idea of this for us as adults too; it's something to treat ourselves at the end of a long day of fasting and it's perfect for all ages from young girls to mothers/wives because bath and body things (with the exception of a few makeup items) are for all ages. I especially love this as a gifting idea for someone special who works even harder than others in this month.. like mothers! 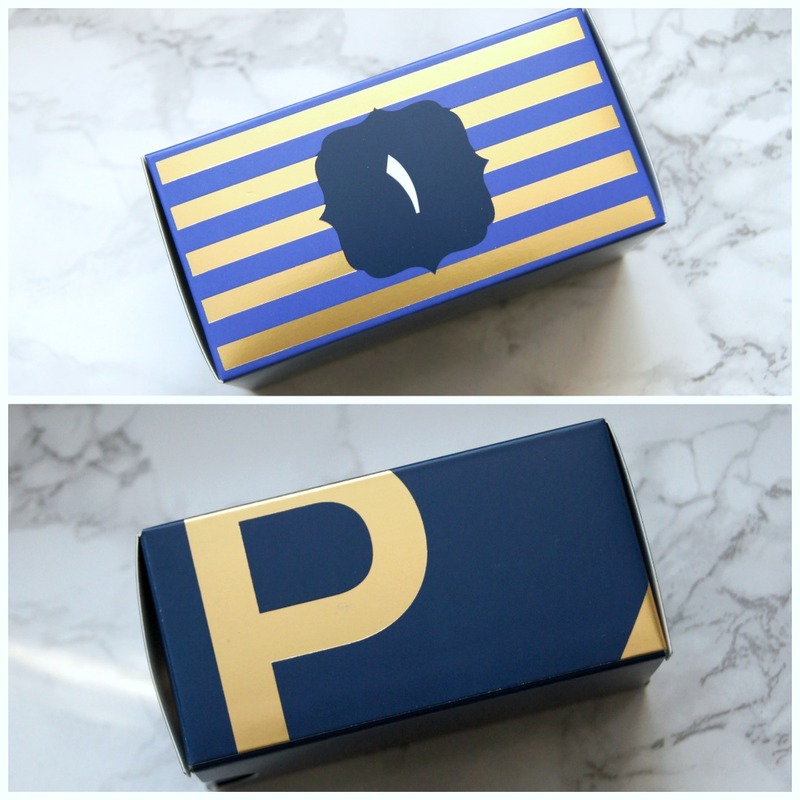 I really do love this idea and whilst there's scepticism about commercialising things, I personally love being recognised as a consumer who appreciates personalised things so I would love to see more brands produce Eid related gifts in the future as it also makes the gift buying process a lot more easier than having to search the best bundle deals in stores/online! Have you had one of these Beauty Calendars before? Who would you gift this to? The Body Shop have done such a good job with this! 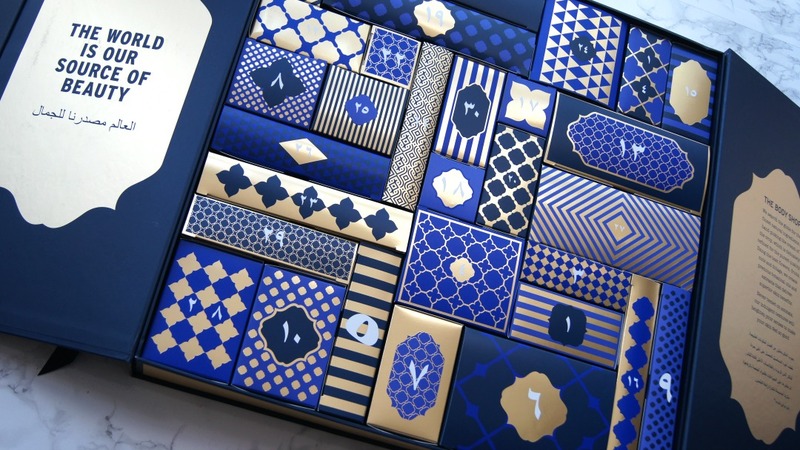 The design is just beautiful I love the arabic numerals too! A nice way to treat yourself or somebody else! I love that the Body Shop have decided to bring this to the UK - it feels inclusive and such a nice treat after breaking your fast! Do you sale also countdown for Ramadan? Keep doing the good work. Nice work. I was talking the same as this one.